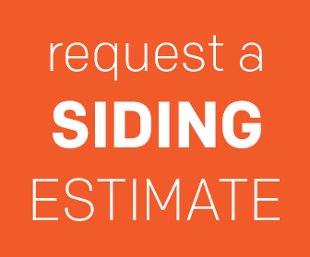 There are a lot of factors that can affect the total cost of new vinyl siding installation. Similar to buying a new vehicle, the cost can vary based on which options you choose. For example, a new SUV with cloth interior may cost around $25,000, while the same vehicle with leather interior may cost $5,000-10,000 more. Think about the size of your home. Siding materials take up the largest surface area of the outside of a home and are priced by the square foot. The larger the home, the more materials that will be needed, resulting in a higher price. The location of your home can also impact the cost of your siding job, due to varying labor costs across the country and the cost to ship materials. The price may be more or less depending on what the cost of labor is in your area, and where you are located in relation to the manufacturer or supplier. How is your home designed? Is it one or two stories? Do you have eaves, gables, or maybe a turret? The design of your home is also a factor when considering the cost of new siding. A taller, two-story home with eaves or gables will require more materials and labor than a one-story ranch or a boxed shaped home. Complex designs with lots of corners and trim work may also require more labor, and generate some extra material waste to complete the installation. If your current siding needs to be removed prior to the installation of new siding, this can cost an additional $1,000-$3,000. After the old siding is removed, the contractor will inspect the outside walls of the home for any repairs. If you live in an older home, issues such as rotten wood or termite damage may need to be repaired before the new siding is installed. If the walls of your home are wavy or uneven, your contractor may suggest a flat, rigid insulation added under the new siding to help level out the wall for new siding. Vinyl siding comes in a wide range of colors and profiles. Premium profiles, accent trim, stone veneer, or other options can increase the overall cost of your project. The thickness of the vinyl siding panel will also have an effect on the cost. Vinyl typically ranges in thickness from 0.04 for more economical options, to 0.05 for premium performance. When installing vinyl siding, you can choose between insulated and non-insulated. Insulated vinyl siding costs anywhere from $4.00 - $12.00 per square foot installed (compared to non-insulated vinyl at $3.50-$8.00). insulated vinyl siding will generally be more expensive because there is more material in the product. The additional insulation makes it thicker, and therefore more expensive to ship. To learn more about the differences between vinyl siding and insulated vinyl siding read our article here. 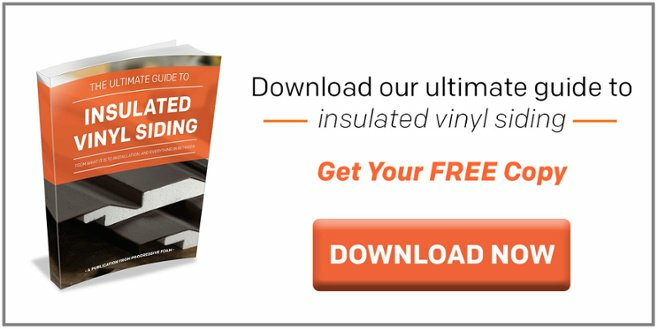 Remember that both insulated and non insulated vinyl are completely maintenance free. This means you will not have ongoing maintenance costs such as painting, scraping and caulking as you would with other products, such as James Hardie fiber cement. Some materials add additional steps to the installation process, resulting in a higher cost for the project. Adding materials like housewrap or rigid insulation are smart decisions for your home, but are not always included in the overall cost. The time of year can also affect the cost of your project. Having siding installed in off seasons like fall or winter may help you save on labor and materials. Your project may also be completed quicker as your contractor has fewer jobs to install. If you are installing insulated vinyl siding, the additional thickness can add steps during the installation process. Special accessories and trim work around windows and doors can be required, adding to the cost of the job. Read more on how insulated vinyl siding is installed here. According to the 2017 cost vs value report, 76.4% of siding replacement costs are recouped. This is significantly higher than a roof replacement at 68.8%, and a window replacement at 73.9%. As an example, if you spend $20,000 on a siding replacement, you can expect to recoup $15,280, leaving the true cost of your siding around $4,720. You can also put more money back in your pocket with long-term energy savings. Traditional, non-insulated vinyl siding does not have any true energy saving benefits. With insulated vinyl siding, the average 2-story home without cavity insulation can experience an average savings of 14.2% on heating and cooling costs. Let’s say you’re spending $250 per month on heating and cooling. If your home is similar to the test house, you could be saving $425 per year, every year you are in the home. Choosing to reside your home is a major decision. Knowing what is important to you and your family will help guide your decision-making process. To get an accurate estimate, you will need to have a reputable contractor come out to measure and inspect your home. To learn more about how to choose a reliable contractor, download our ultimate guide here.